BHLDN has released their latest gowns for Spring 2018 — earlier than ever before! An incredible range of style is available from classic (there’s the elegant off-the-shoulder Windsor and Nicolette) and romantic, to the modern and boho chic. 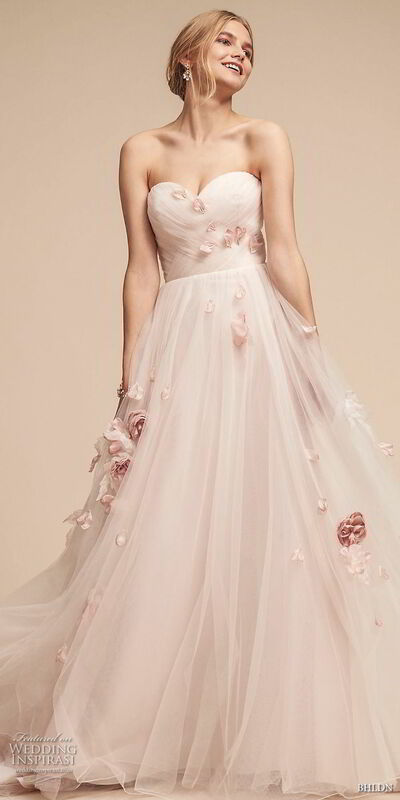 We are obsessed with the blush tulle Eloise (imagine twirling in this stunning ball gown)! The best part is that the gowns are already available for trying on in BHLDN shops nationwide. Note that these styles are on pre-order, meaning they will ship out on the date that’s shown when you select a size on their website.